Young Living vs. doTERRA - Which Essential Oils Company is BETTER? This is one of the big questions out there in the essential oils world–and it makes sense, since these two companies are the big “giants” in the essential oil industry. 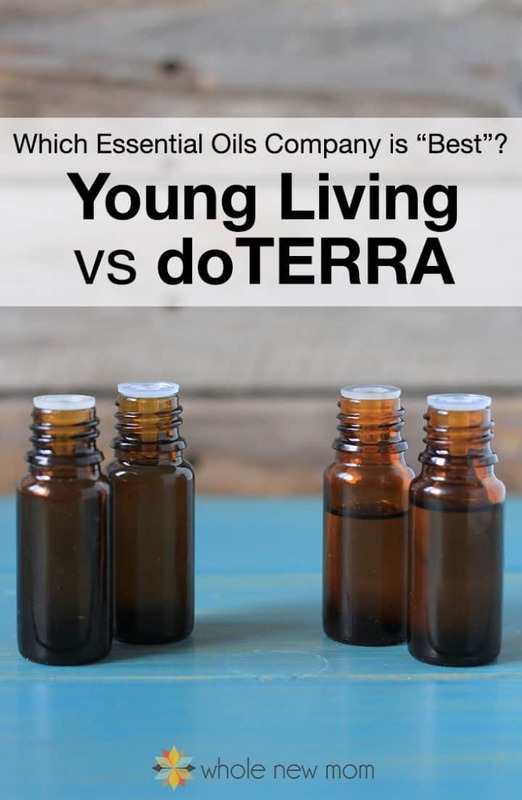 Likely, if you have been thinking about buying essential oils, or getting involved in essential oils as a business, you have wondered the same thing–which is better, Young Living or doTERRA? This post is actually not a stand alone post meant to compare these two companies. It's actually just one post that was a part of my search for the “best” essential oils company, since these two companies were a big part of my search. Before we get into the comparison between Young Living and doTERRA, let me say that I've had to admit I was wrong about things before. – My thinking that Lilla Rose Flexi Clips were a waste of money (see my “I was wrong” Lilla Rose review). – or saying my Natural Dishwasher Rinse Aid was a great idea. We need to be willing to admit we were wrong. When I started out my journey with essential oils (which I never expected to go on, by the way–I initially thought that essential oils were a scam), I went with Young Living. Because it worked. As time wore on, however, I wasn't sure what to think. Remember my enthusiastic posts about their Thieves and Peppermint and Wintergreen? I was pretty excited about the results I had, but as I started writing about essential oils, I started having some second thoughts. In particular, one rep from doTERRA started pointing out some things that had me rethinking my decision and wondering if I made the right decision or not. And while I was doing my investigating, some different things popped up about both Young Living and doTERRA that made me think and wonder even more. About both companies. It was hard to sort through all of the information, but I'm going to lay out most of it for you here so you can see some of the concerns that came to my attention. This isn't everything that I found to be disconcerting, but it's a lot of it. If you've been looking into essential oils at all, chances are you have come across Young Living and doTERRA. You've for sure heard “Young Living is the best!” or “doTERRA is the most pure”. 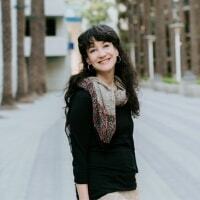 I touched on some of these issues in the beginning of my Best Essential Oils series. But here's more. First of all, Young Living was pretty much the first on the block. They literally made essential oils mainstream. There's something to be said for that. However, there are some pretty not-so-savory things on the internet about D. Gary Young. Of course, the internet can be full of truths and lies. But I still think these things might be worth paying attention to. Dr. Stephen Barrett has written a load of unsavory things about D. Gary Young. In fact, this information is a lot of what gave me pause when I initially was looking into signing up with YL. I mean, the Thieves Oil worked great for me, but I really didn't like what I was reading. Now, I do have my concerns about Mr. Barrett–mainly that he's basically an “anti-alternative therapy” hound. And I like alternative therapies. Most of them, at least. I personally am very concerned about abuses in the alternative medical field. But I'm also concerned about abuses in Western medicine. 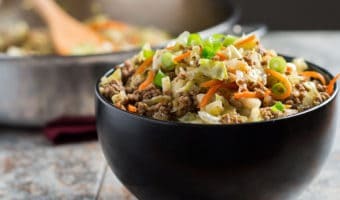 My family and I have been harmed by the practices of traditional Western medicine (overuse of anti-biotics, over-use of prescriptions meds, doctors misdiagnosing acid reflux, etc.). In some cases, we've been healed despite what mainstream doctors told us to do. I know there are abuses on both sides. But Quackwatch appears to be just targeting everything alternative: Chiropractic, acupuncture, Chinese medicine….You name it. If it's alternative, it's Barrett's target. I found this interesting entry referring to Young Living OSHA violations. I didn't find any by the other oils companies, although I didn't look all of the essential oils companies up, of course. That would take a long long time and I couldn't find them all for sure. Now, Young Living is the oldest oils company, so they've had more time for there to be violations, and all of the violations appear to be of the same incident. Of course, OSHA violations don't mean that a company is bad. If they cleaned up their procedures correctly, then possibly their new procedures are better than ever. Many A good number (updated 4/2015) of Young Living's farms are located in the U.S. I think that's fine for a company being more “in control” of their product, but not great if you follow conventional wisdom that plants grow best (and have the best therapeutic qualities) when they are grown in their indigenous locations (where they are supposed to grow naturally). If you read through the comments of Best Essential Oils Parts 2 & 3, you'll see that Young Living reps tout the fact that YL farms are in the U.S. as being an advantage–that it gives Young Living control over the whole process. Maybe, but other companies like doTERRA and most of the other companies I've looked into have their oils sourced from wherever the plants grow naturally for higher quality. Best Eye Makeup Remover posts. Then you won't be surprised to know that we did this with essential oils as well. I purchased Young Living, doTERRA, Mountain Rose Herbs, Aura Cacia, and 2 other companies' oils and did a little “Smell Challenge” with my not-so-specially-trained Smell Testing Panel (a.k.a. my family). In the literature that I got from Young Living when I signed up, there were Thieves® brochures. The brochure mentioned this study done that apparently addressed the superior therapeutic value of the oil. I looked up the tests online to see what they were all about, because I was curious to see the exact results and found, however, that the study was done on generic Eucalyptus Oil–not on Thieves Oil. Huh? 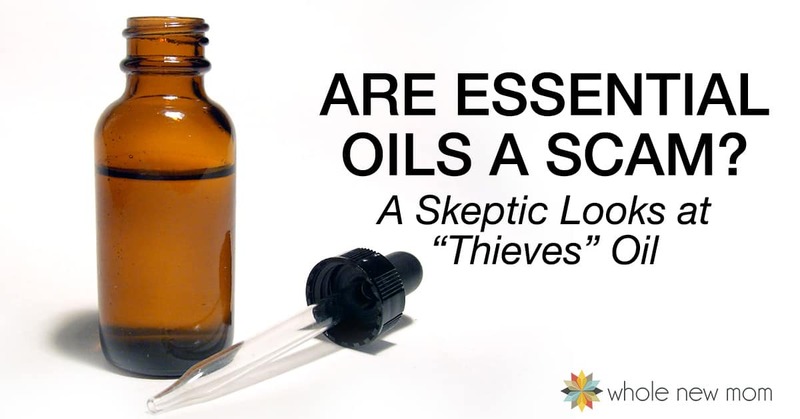 So it seemed to me that the company was saying that it was proven that their Thieves® oil was proven to be effective, when what really was the case was that Eucalyptus, one component of Thieves®, was proven to be effective. In a sense, that's fine, I guess. But I still was confused and decided to email headquarters. oils and supplements and may be able to assist you further. We had a blind smell test of 3-5 brands of the same oil. In each instance, Young Living was singled out as having a chemical (synthetic) overtone. Does that mean there were synthetics added? Not necessarily of course, but we still didn't care for it. As of the 2018 update of this post, all or many of the oils from Young Living do not have a country of origin indicated on the site. Besides buying the Young Living Starter Kit, I also bought a large kit of doTERRA's oils to try them out against YL. I asked doTERRA reps and corporate employees tons of questions, and I even used their oils exclusively for awhile. One thing I really like about doTERRA is their educational resources — and also, their oils smell great. But their great smell is part of what concerns me. This from doTERRA's website: “A 100% pure therapeutic-grade essential oil should have a balanced, broad fragrance profile and should smell crystal clean.” I don't know about you, but I don't know what “crystal clean” means. Before I go into more–I mentioned distillation techniques in one of my previous posts. Basically, the going wisdom about essential oils is that you put the plant parts and water in a distiller and under low pressure and low temperature, you distill the essential oils out of the plant. They travel down a tube and into a vat–along with the steam. The oil collects on top of the water and is removed and–voila–you have essential oils. This “first distillation” only applies to ylang ylang and possibly peppermint, according to what I have learned. doTERRA's peppermint smells good enough to eat–as in “candy cane” good. But that might be a problem. Here's why. Most peppermint essential oils smell like the peppermint you find growing out in nature. Kind of herby and not really like a candy cane. Candy-cane-smelling peppermint is apparently, according to several sources, possibly from a redistill. The oils are either redistilled or some components are taken out to give the oil a clean pepperminty candy smell. (Source). Now–please keep in mind that there is a LOT of controversy about what this does or might mean. I don't know. But I'm sharing what I am learning and reading. The other alternative is that someone did something else to the peppermint oil to reduce the herby smell. This is exactly what doTERRA's peppermint oils smell like. 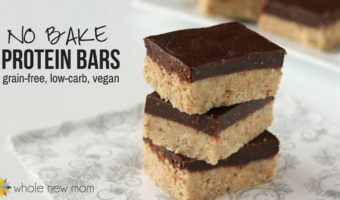 So yummy, in fact, that if you have kiddos in the house, you'd best keep it out of arm's reach. So if in fact, the first distillation of peppermint oil is the most valuable (and there is really a first and later distillation of peppermint), then their peppermint oil might not be top quality. If there is truly no such thing as more than one distillation of peppermint, as many say, then why is doTERRA stating that there is a 1st, 2nd, 3rd, and complete distillation of peppermint? Possibly it was an error. 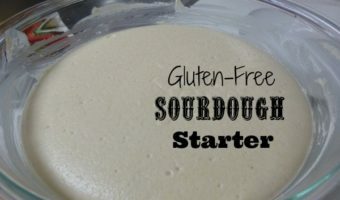 Please note, this whole topic is very confusing and I am digging into it more and am going to be adding more information to this series about it and/or addressing it again in another post. You can read some information in later posts about why one chemist thinks that doTERRA's peppermint mint smell this way. I will add, however, that the most disconcerting thing to me about the whole issue was that I could never get solid information about WHY their peppermint smelled the way that it did. 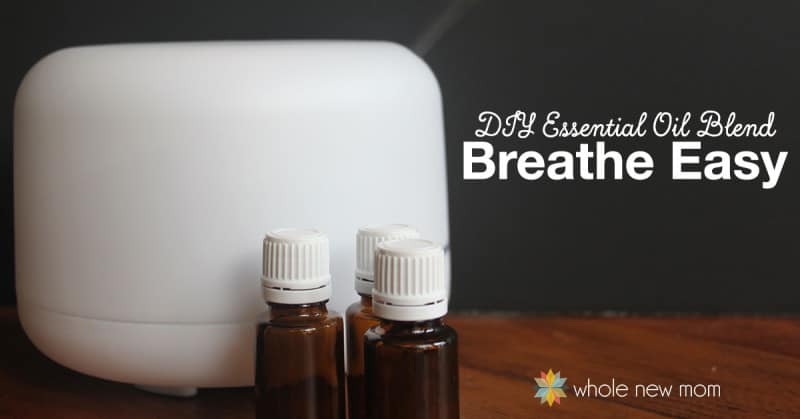 In one video, one of the founders of doTERRA stated that their peppermint smelled amazing because it was from Washington. Well, other peppermints are from Washington. Then, while researching the whole thing, someone else from the company said that it was because it was distilled only from the leaves and the flowers. I couldn't get a real answer on it. I tried for months and months. It's a very disconcerting situation when I can't get answers to questions like this. doTERRA prides itself on selling the top of the line quality. Their ylang ylang, however, is also a complete distillation. Some may say that this is a matter of taste, but in the essential oils industry, the first distill of ylang ylang is more valued and therefore, a higher priced oil. To their credit, doTERRA does call their ylang ylang a complete distill on their website. Ylang Ylang first distill (which is referred to as “extra”) is typically considered to be the quality of oil that is most sought after / of highest therapeutic quality–not the complete distillation. What I think is troubling here is that doTERRA makes a lot of claims about their oils being the best–top quality. And their prices sure reflect that. I don't think I would purchase complete, 2nd or 3rd distillation oil for more than other companies are selling 1st distill for–would you? UPDATE 4/16: I will be updating this distillation information. Of course, there are other things to think about–purity, etc. So we'll keep the conversation going and touch on other companies as well. I hope this all makes sense. If not—ask away. Thanks for your patience! This has been a long road, but I promise, we are nearing the end. I often get questions about doTERRA's pricing for their Frankincense as it compares to other brands, with people citing that doTERRA's appears to be less expensive. The reason for this has to do with the composition of doTERRA's Frankincense Oil. Most companies sell either just one variety of Frankincense Oil, or several varieties, but doTERRA's Frankincense is, at least as of Aug 2016, a blend of different varieties (source). Sacred Frankincense is typically one of, if not the most expensive varieties of Frankincense oil, so if you compare doTERRA's Frankincense to another company's Sacred, doTERRA's will likely come out to be cheaper. The reason for this is because we source from so many developing countries. The certification requirements and availability differs from country to country. Some countries don’t even have a certification offering. I get it. It can be hard. But they could source some or many of them organically if they wanted to. At least I see other companies doing it. Maybe I'm wrong, but that is the way it seems to me. I've looked into organic certification before and it wasn't as expensive as most companies (those without certification) make it out to be. As of the 2018 update of this post, all or many of the oils from doTERRA do not have a country of origin indicated on the site. 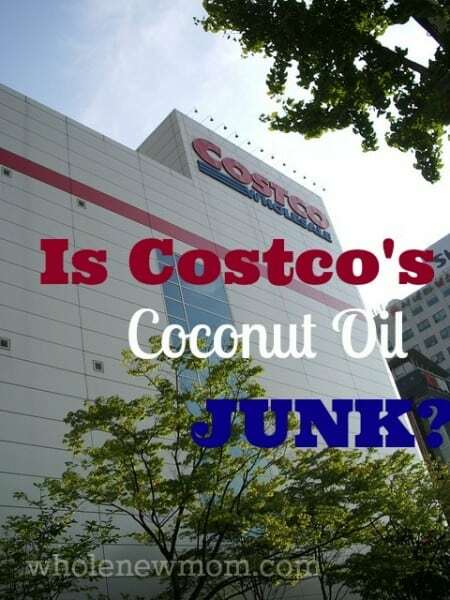 This is interesting especially since the company and/or its reps repeatedly say that they can't get organic certification due to it being hard to get it in the countries where their oils are sourced. I heard from a reader that there is source map for doTERRA oils, but I couldn't find it. I did find one page that shows sourcing for Spikenard and Petitgrain. It shows that the Petitgrain Oil is sourced from Paraguay. Other companies have organic Petitgrain from Paraguay so I would be interested in hearing where their other oils are from to see if their claim about organic being something they can't do is reasonable or not. Do Young Living and doTERRA Have the Same Source for Their Oils? 2018 Update: Here's something interesting that just came to my attention. Young Living and doTERRA appear to have the same source for at least some of their oils. Look at the following sources and see that Bio Young Aromas is the supplier to both companies. There are some other things about these companies and I couldn't go into all of them for various reasons. When I first wrote this series, doTERRA had very few oils so if you were looking for a company that could be a one stop shop, then it wasn't really a great option. That has changed somewhat since that time. The two companies have a big command over the marketplace and there is a lot of tension between the two. I think it's difficult to say which is best, and of course different aspects of each company continue to change making them both kind of moving targets. 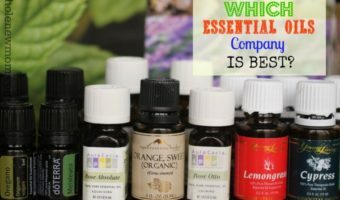 My goal here wasn't really to say which of these was best, but to talk about different aspects of each of these “essential oil powerhouses” in the midst of my search for the best essential oil company and point out some of my concerns with both of them. Do you think one is better than the other or would you rather not work with either of them? The information here is for entertainment purposes only. Please consult a medical professional before changing your diet, exercise program, or before trying any natural remedies. Whatever essential oils company you choose, you need to know how to use them safely. This book by Robert Tisserand, is THE book you want to have about essential oils safety. 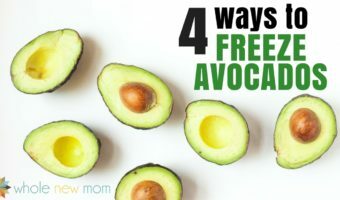 Whenever there's a great deal on essential oils (or other healthy living deals) I let my readers know about it–believe me, you won't want to miss out. 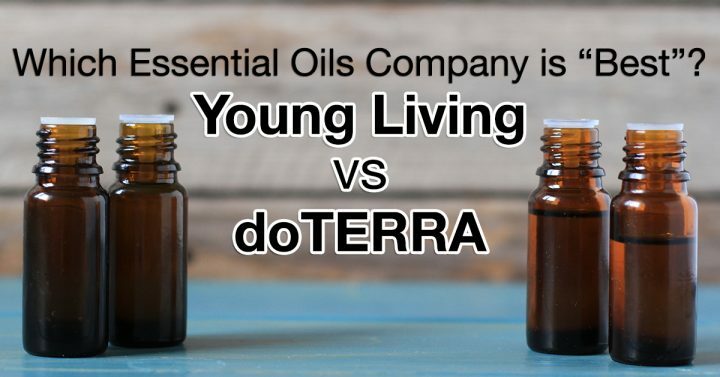 Of Young Living or doTERRA, which company do YOU prefer? I distill oils in Indonesia. You do not seem to have a good grasp on the issue of organic certification. Some countries just do not have this available(such as Indonesia), but the laws do not allow spraying of pesticides/herbicides for most crops. By demanding certification, you are not allowing third world countries that are very poor to export their livelihood and to make a better life for their families and communities. The truth about organic certification is that the industry s very corrupt and the highest bidders win and get by not meeting the standards set for certification. Hi there, Gary. I appreciate your commenting (and reading!). I am totally open to this being the case–I have heard from several companies, however, that being certified organic isn’t that pricey. I am aware that so many of these things can be an issue–and of course there are loopholes. I know for some the certification can give great reassurance, but I know of one company that really appears to be lying. What are we to do? Can you tell me how much it costs for a company to be certified organic?